Tax Clinic Students Release Guides for Taxpayers The guides help with a variety of tax issues, including determining filing status and information about claiming children as dependents. Students in the Tax Clinic at Washington and Lee University School of Law have released a series of guides to help taxpayers. The guides were produced to help with a variety of tax issues. 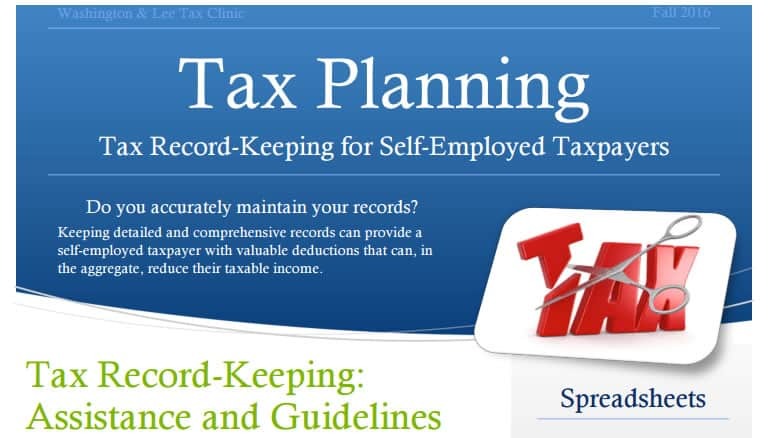 Third-year law students Arthur Vorbrodt and Zachary Imboden, for example, produced a guide to help self-employed taxpapers with record keeping. Students in the tax clinic work with low-income taxpayers to help resolve disputes with the IRS. The students also work on advocacy projects, such as taxpayer guides. Other projects published this semester include guides about innocent spouse relief, prepared by Mikail Clark; subordinating a federal tax lien, by Christian Addison; determining filing status, by Lucas Barta; failure to file a timely return, by Lucas Barta; claiming children as dependents, by Abby Mulugeta; and tax credits for families, by Ashly Slisz. The tax guides are available online at https://law.wlu.edu/clinics/tax-clinic/advocacy-projects.